So it happened finally on the 24th October, 2016. What was simmering below the surface, popping up occasionally through news reports and the rare interviews, rare enough to be brushed under the carpet, exploded into full public view. Barely four years into the job, Cyrus Mistry lost his job as the top gun at the huge Tata industrial and services empire in India. For the group, it is a rare thing to happen. In fact, in its nearly 150 years of existence, the group has seen only six individuals heading it. That puts it in a league that even the hallowed General Electric can't compete with - GE has had 12 CEOs over 124 years (of course, GE is a single legal entity running multiple businesses, and the Tata Sons holding company is controlling multiple legal entities (separate companies), but that's just a legal difference. For practical purposes, group Chairman is the boss and his word is final). 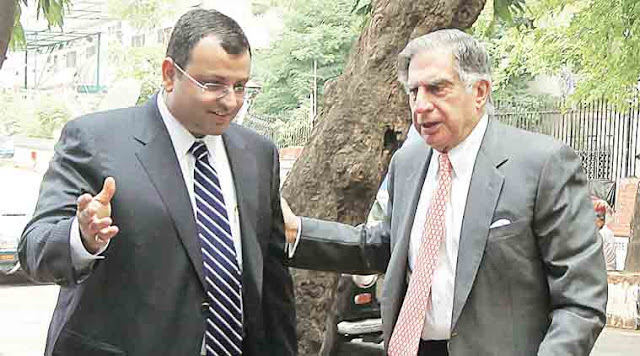 Also, since Mr Mistry belongs to the family that holds the largest chunk of shareholding in Tata Sons (the holding company of the entire group), something must have gone terribly wrong for the Board to resort to such a desperate measure. I try to analyse it from a leadership - management perspective, and hopefully we all have some lessons to learn here. Times change, Systems usually do not. Well, times had changed in 1991 when the prime minister of India Mr P V Narsimha Rao had thrust an unprepared India into the fires of economic liberalisation. Most corporate groups, accustomed to greasing their way to prosperity, simply fell by the wayside in the raging and unfamiliar storm of global competition. 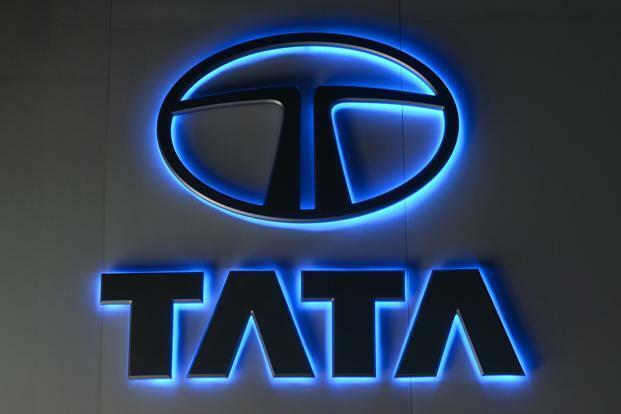 A young Ratan Tata, newly minted Chairman of the Tata Group, set upon radically restructuring the group to stay relevant. He succeeded big time. We have covered that story at length in this Bodhi for our site BodhiBooster.com here. It was the sheer force of Ratan Tata's vision and personality that he carried the group through the most difficult time imaginable. However, Mr Cyrus Mistry was not allowed the same freedom this time round. He was simply removed, as major transformations were afoot. Cyrus was facing the heat of a global slowdown just when the Tata Group had truly globalised itself (65% revenues coming from 100 countries). Was the system not able to cope up with rapid change this time? Obviously not. Was Mr Mistry not able to take the system into confidence? It seems not. For a visionary leader in an important position of power, the quality of communication can mean the difference between pulling it through, and losing it. Stepping into huge shoes is never easy. Set your terms before you set your feet in. The most unfair acid test history can subject leaders to is when a new leader, with a different worldview, is thrust into a position of immense power and responsibility, without having the time to settle down amid raging fires. More unfortunate is if the new leader lacked the foresight to set his terms of engagement properly at the start. My suspicion is that this might have happened here. Perhaps Mr Mistry came in without negotiating hard enough regarding the freedom he'd want for sure. Perhaps he never felt the need for it, or could not visualise it at that time. Perhaps the system was so large and the predecessor's laurels so bright, that no new leader may have succeeded at all. A recent and more successful example is that of Prime Minister Modi himself, who ensured that the generational shift in the now-ruling Party - the BJP - was taken to its logical extreme. Although he was brutally criticised by many for being too ambitious and perhaps even insensitive, he showed how to do the right thing by not allowing the older establishment tie his hands down. He got his team, made of his own men and drove his own agenda. He had his way - full freedom to envision new projects from the ground up. This is the way for new leaders to ensure success when a huge legacy becomes a burden, not necessarily an asset. Old leaders need to learn this lesson - Retire gracefully, and exit. Every leader faces a new fire. Every leader will have to devise his own way. Again, the problem with success is that it sets prototypes, and forces the people (and media) to think in terms of 'permanent models of success', overlooking the fact that even the role model being eulogised was once criticised for being too radical. There are many reports that indicate that when the new leadership team tried to tinker (due to financial constraints) with the personal pet projects of the now-retired General, it set off many chain reactions across the power structure. How far can the new leader be criticised for it, remains a matter for great academic analysis. My own take is that once you have entrusted the business to a new guy (team), you must get out of the way and let him have his. If we fail to do that, we are not allowing new models to emerge. What if the new boss fails? Well that's occupational hazard. No one is without their share of failures. Can we forget the fate of the beautifully engineered Tata Nano, whose spectacular design was matched only by the scale of commercial failure due to wrong positioning? I recall reading many news reports over the past 4 years stating how different the style of the Cyrus was, how numbers-focussed he really was, and how he was trying to pinch every penny to keep the group's numbers healthy. "The appointment of Mr Cyrus P Mistry as Deputy Chairman of Tata Sons is a good and far-sighted choice. 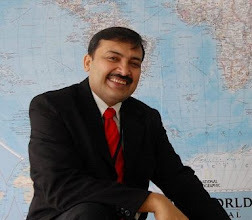 He has been on the board of Tata Sons since August 2006 and I have been impressed with the quality and calibre of his participation, his astute observations and his humility. He is intelligent and qualified to take on the responsibility being offered and I will be committed to working with him over the next year to give him the exposure, the involvement and the operating experience to equip him to undertake the full responsibility of the group on my retirement." How times change! Making the succession plan work is more a need and responsibility for those who designed it. When a succession plan is made, it is crucial for the senior (outgoing) power centres to realise that the only thing constant is change. When new people are appointed, the old levers of identity, values and power will and must undergo a change. You can try and control the speed and nature of that change, but you cannot negate that change itself! I strongly suspect that exercising his executive power became the nemesis of Cyrus Mistry, despite all the good intentions he had (must have had). A very similar story is unfolding in the largest state of India - Uttar Pradesh - where the ruling Samajwadi Party is unable to manage the generational shift from father to son. It is a sad chapter in the clean history of this prestigious group. The Tatas have added immesurable value to India and Indians, victims often of selfish hedonists masquerading as leaders and businesspersons. The Tata name is cited by parents to kids across India as the ultimate measure of integrity and truthfulness. That a major succession effort could trip up so quickly and so badly, is beyond belief. And what is also unbelievable is the series of charges leaping out of the pages of this letter from Mr Mistry to the Board (click to open), post his removal. It puts a huge question mark on everything - the idea of corporate governance, role of independent directors, the big brand B-schools and what they teach inside the classrooms in the name of corporate governance and what is actually practised (why raise this here? because Tatas are a case-study everywhere and Mr Nitin Nohria of HBS is an integral part of their top body). Frankly, if what Mr Mistry is alleging is true, the joke is on everyone else except Mr Mistry. Surely, the group will continue its success story for decades to come, and its topline and bottomline will continue to flourish, but this sad chapter will continue to haunt its spotless prestige. All the best Cyrus Mistry. It seems you tried your best. All the best Mr Ratan Tata. You remain a source of inspiration to all of us. Here's a link to an elaborate article with facts, on this topic.